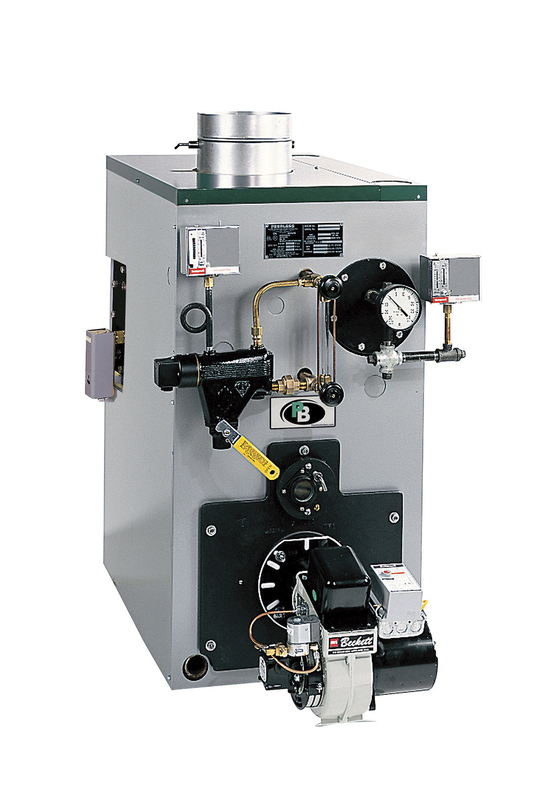 The Series SC/SCT™ boiler is a cast iron commercial, steam or hot water boiler that can be fired as either a gas, oil, or a combined gas/oil boiler. 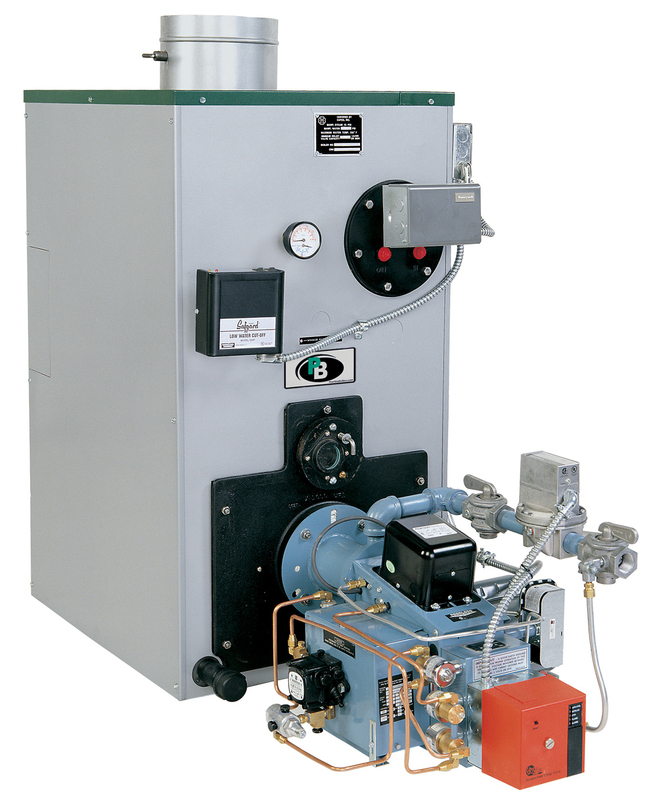 The forced-draft boiler is available in a fully-packaged or knocked-down configuration and is available with or without a tankless coil for your domestic hot water requirements. There are six sizes available with thermal efficiencies of up to 83.8%. The above ratings are based on 12.75% CO2 (oil) and +.10 in. W.C. at the vent. The Net Ratings shown include allowance for normal piping and pickup load in accordance with Testing and Rating standard for Low Pressure Cast Iron Heating Boilers of The Hydronics Institute. Water ratings are based on a piping and pickup allowance factor of 1.15. Steam ratings based on an allowance factor of 1.33. PB Heat should be consulted before selecting a boiler for gravity hot water installations and installations having unusual piping and pickup requirements such as extended piping systems, exposed piping, night set-back, etc. Ratings shown are for elevations up to 2,000 feet. For elevations above 2,000 feet ratings should be reduced at the rate of 4 percent for each 1,000 feet above sea level. Burner Capacity is based on G.P.H. with a heating value of 140,000 BTU/gal. 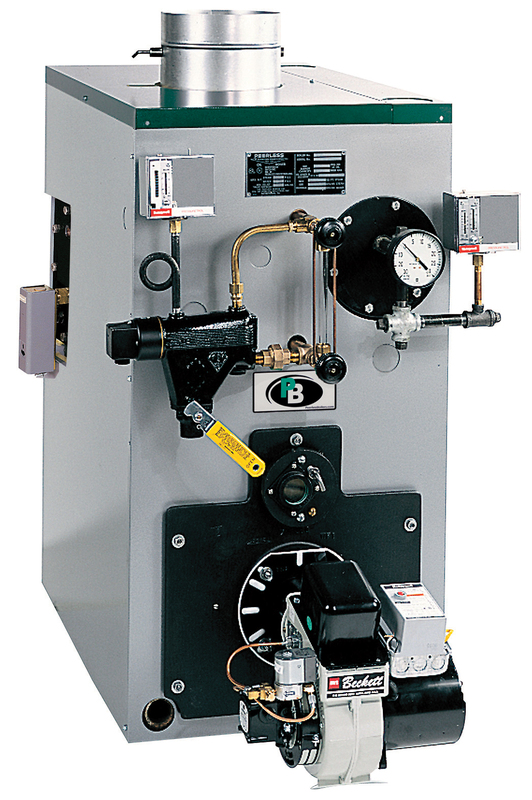 Burner input based on maximum altitude of 2,000 ft.—for other altitudes consult factory.